Eva Zöllner was educated as classical accordionist at the Academy of Music in Cologne and at the Royal Danish Academy of Music in Copenhagen where she studied with Prof. Geir Draugsvoll. She is one of the most active accordionists of her generation and devotes herself to contemporary music. Eva has performed as a soloist in most European and Latin American countries, throughout Asia, Australia, Kanada and in the USA. She appears in productions ranging from experimental solo performances to concerts with renowned contemporary music ensembles and opera companies. CD recordings and radio productions document her work. She is also active as guest lecturer and jury member for institutions all around the world. An important part of her work is the close cooperation with composers of her generation. She has premiered more than 150 new works for accordion. Lately she has been particularly interested in the potential of the accordion within electroacoustic music and multimedia art. In 2015 Eva Zöllner received a prestigious grant from the German Government for 6 months of artist residency at the Cite Internationale des Arts in Paris. Currently she lives in Germany and as a nomadic musician, travelling around the world to explore her instrument in different cultures and contexts. 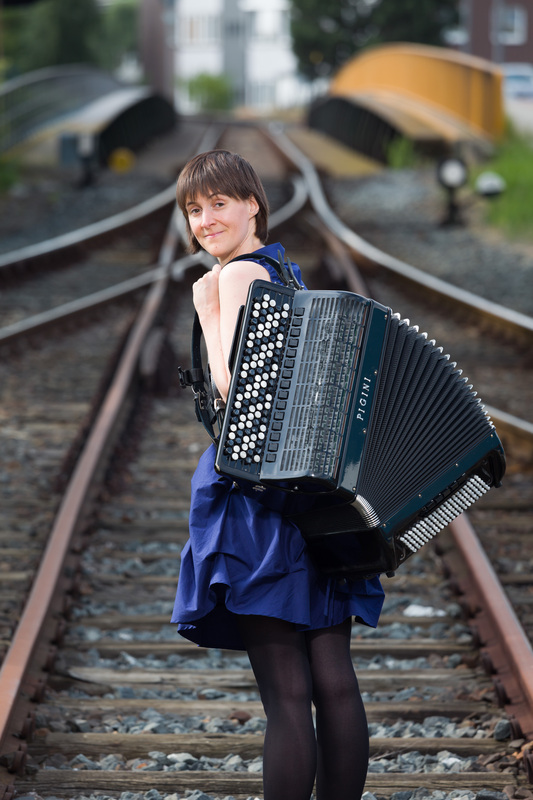 Eva Zöllner studied classical accordion in Cologne and Copenhagen and is one of the most active accordionists of her generation. As internationally acclaimed soloist she appears in projects ranging from experimental solo performances to concerts with renowned ensembles. An important part of her work is the close cooperation with composers of her generation. She has premiered more than 150 new works for her instrument. Lately she is particularly interested in the potential of the accordion within electro-acoustic music and multimedia art. Eva is based in Germany and lives as a nomadic musician, travelling around the world to explore her instrument in different cultures and contexts. Please print this c.v. without any changes.